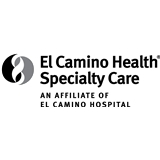 El Camino Health Specialty Care-ENT (Mountain View) - Book Appointment Online! We are dedicated to providing you with the highest standard of care for your ear, nose, throat, and allergy concerns. Dr. Deborah Freehling is board-certified by the American Academy in Otolaryngology - Head and Neck Surgery, with extensive specialty training and clinical experience.